Did you know SMG has been presenting Christian seminars in schools since the 1970's? A lot has changed since then - style, communicating approach and mediums, culture, and the team makeup, but our passion and mission has stayed the same: Young people and school communities discovering purpose, value and hope. SMG is excited to offer 3 streams within the Education Services department: Life Matters, Hope Downloaded, and Sacred Stone. In 2017, over 30, 000 students experienced an SMG presentation through one or more of the teams. Find out more about each team by clicking the image. 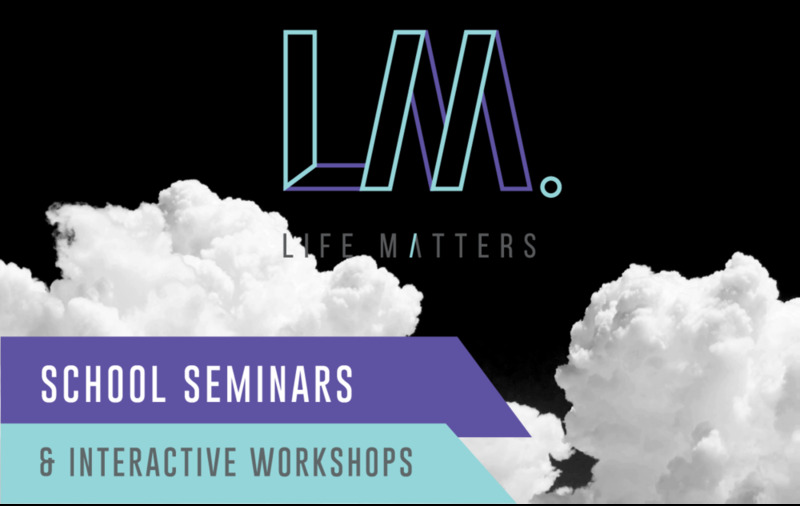 Your generous contribution to SMG School Seminars will enable the Life Matters team, Hope Downloaded and Sacred Stone reach more students in schools across South Australia with interactive workshops, presentations and shows that help students see how their life matters.